The previous website for Garrelts Water was 10 years old – and only attracted about 20-30 visitors a month! The new website design has a nice navigation menu that helps users find their way around. New content and images were provided to add visual interest and tie everything together. Pretty soon, the phone began to ring – from people that had found their website! They were so excited with all the new business, they signed up for our Internet Marketing Service. 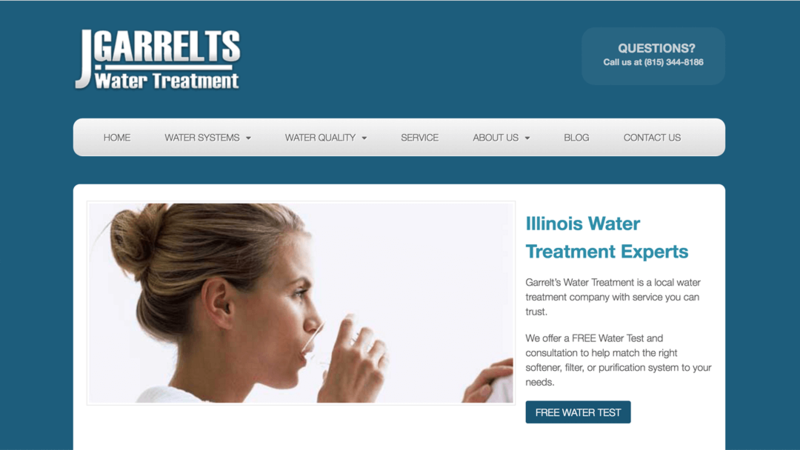 With ongoing Search Engine Optimization and Content Marketing, they are a top contender for Water Softeners in McHenry IL.